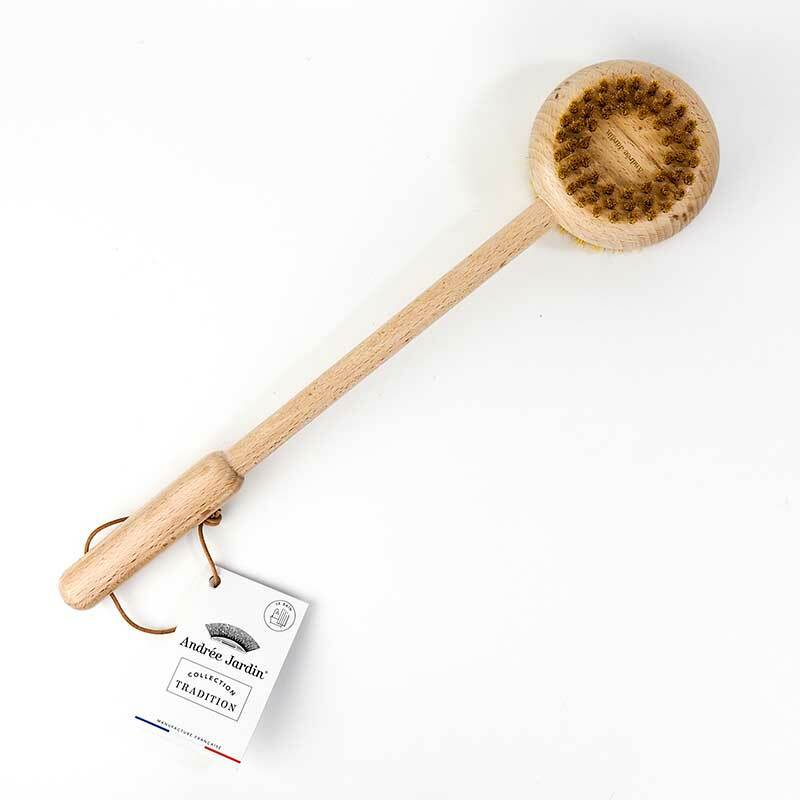 Long Handled Soap Brush | Spinster Sisters Co. 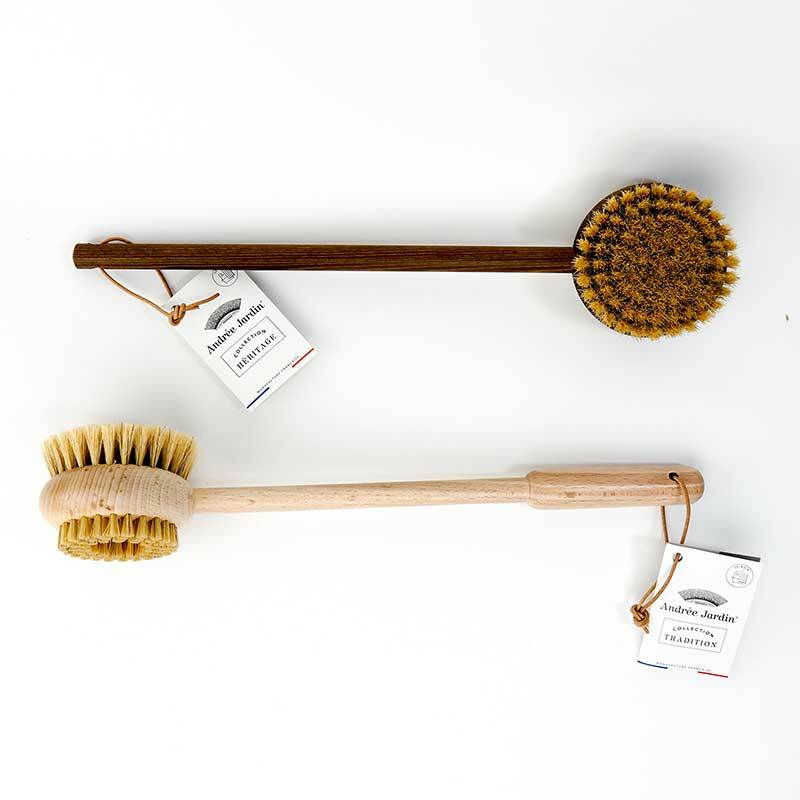 Inspired by the vintage toiletries of French grandmothers past. 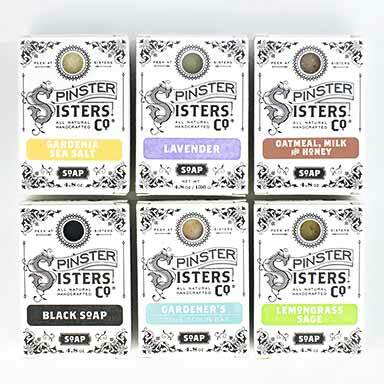 Perfect for an invigorating scrub before or during a shower or bath. 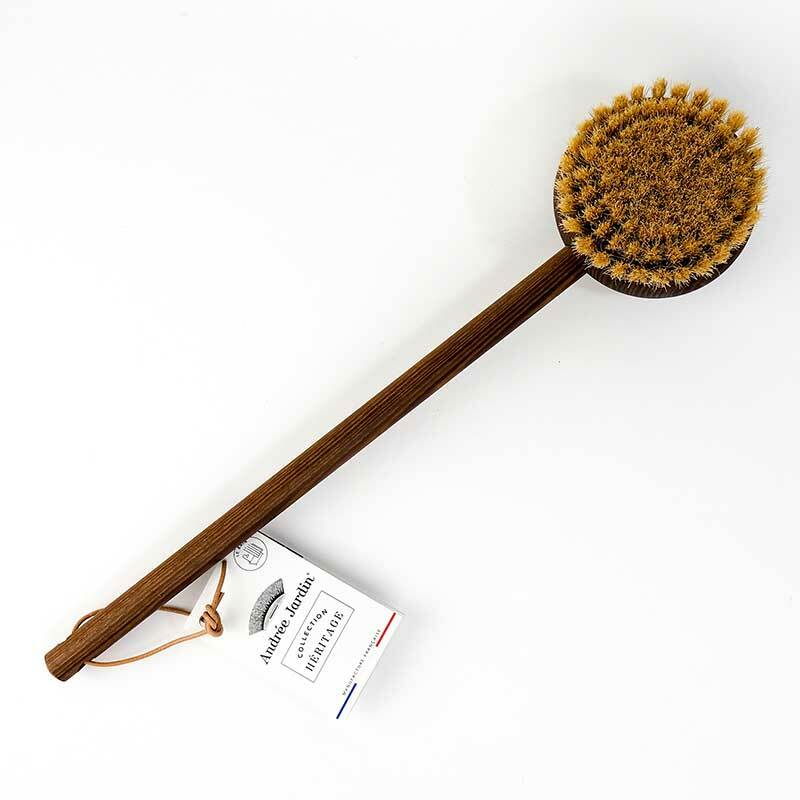 The brush has two sides: One with hard bristles for rough knees and elbows and one with soft bristles for more sensitive skin. Thanks to its long handle you will be able to reach all areas of your body more easily. Beeswax fed beech and wood and white silk fibers. Leather loop at the end. 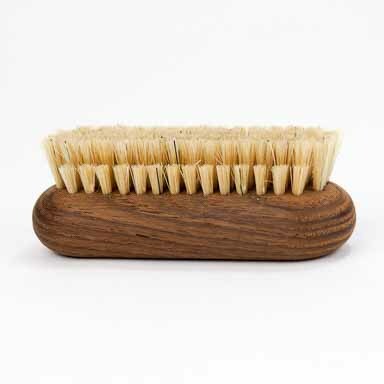 Its 100% natural, heat-treated beech and ash wood has excellent resistance to humidity. I asked for this brush for Christmas and was looking forward to receiving it. 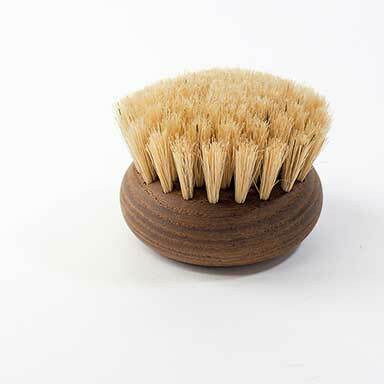 After its first use, a large crack in the side of the head of the brush formed. Then, after its second use, the crack became deeper and larger. There are also pieces of wood peeling off of the handle. Only after two uses, it is completely falling apart. I used it during my showers, but ensured to rinse it out and dry it as suggested. It looks like it won't last for another 2 uses before breaking in half. I am disappointed because it is on the expensive side for a brush and seemed to be of good quality which is why I wanted it. I wanted a brush that would last. Q: Which brush is the darker of the two? Beech or Ash?